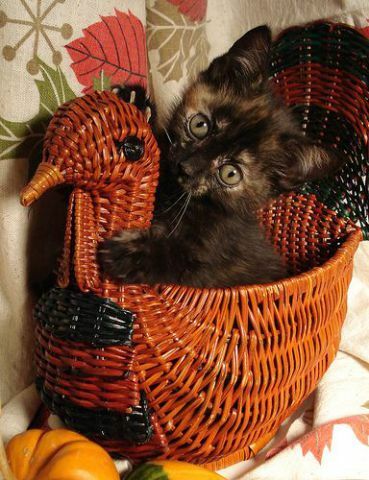 I is practicing for Thanksgiving dinner. I gets to be the centerpiece. I haven't told my human yet. It's a surprise.